I have the pink feather print, too. 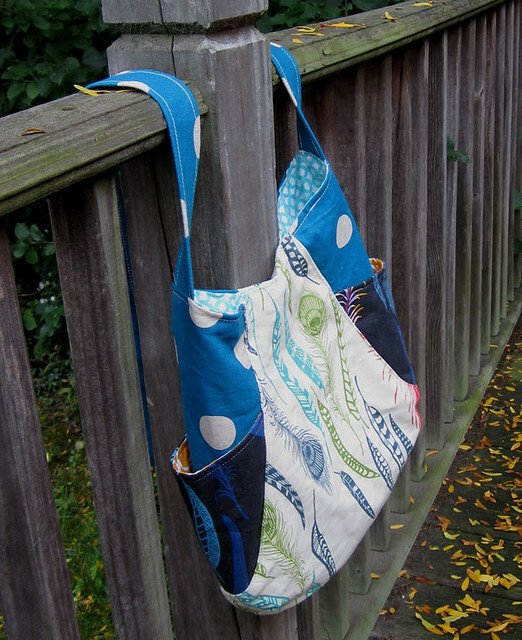 I made this 241 tote for my sister out of Anna Maria Horner Field Study linen parenthetical flight. The lining is this awesome circle print from Modern Whimsy, and some yellow Metro Living circles. The big blue dots are an Echino print from last year that they happened to have some leftovers of at Pink Castle. Actually, the most irritating thing was the thread I used, because it was heavy cotton thread for denim, and I could not find a suitable tension for it, and after ripping it out three times, I just left it looking imperfect on the underside of the handle. 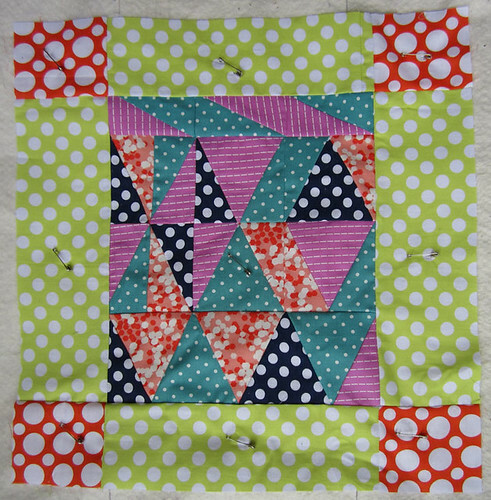 I sewed up this mini quilt for the Pink Castle blog, for which I occasionally write for. It will probably be at least two weeks before it is finished and on the blog. And then I will reveal why I made it! 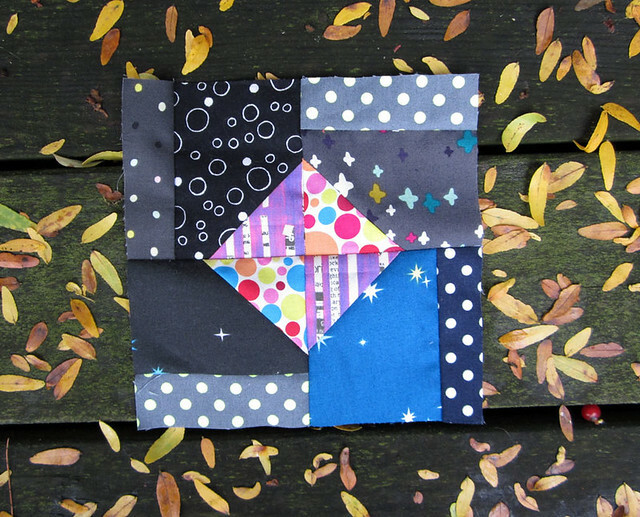 And of course the Scrappy Plus Quilt is still ongoing. I know it is definitely the season for secret projects in my sewing room, which makes it really hard to blog anything since I know that family and friends will see it. :P That bag is to die for, so I hope it was worth all the trouble. That feather print is like me in a nutshell; I may have to spring for some of that. 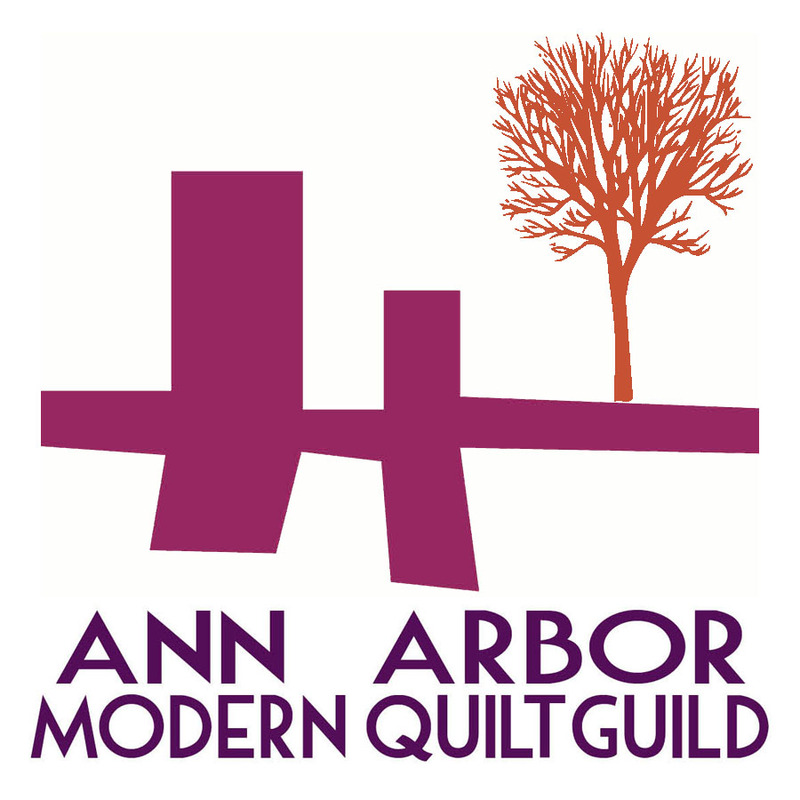 But I will be there for the A2 Modern quilt guild sew in on Sunday.